Crises are inevitable for any company, and the fate of a company’s image rests in how well they are responded to. Few studies have experimentally tested the impact that common types of company responses can have on consumers’ perceptions when a negative complaint has been made online. This research sought to expand the strategies put forth for crisis management by image restoration theory (IRT) using best practice research within the context of social mediated crisis communication. 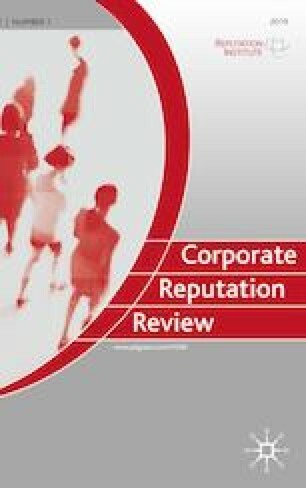 An online experiment examined the effect of a company’s response to an online complaint (i.e., professional apology, personal apology, deleting the comment, ignoring the comment, control group) on participants’ perceptions of the company (i.e., perceptions of company caring, attitude). The potential for perceptions of company caring to mediate the relationship between these expanded strategies and IRT’s ultimate aim of attitude change was also tested. An apology, whether professional or personal, improved participants’ perceptions compared to deleting or ignoring the complaint. Caring significantly mediated the relationship between response strategy and participant attitude. Compared to a control group, which had no transgression, ignoring or deleting the complaint led to negative attitudes about the company, while responding to the complaint with a personal or professional apology led to positive attitudes about the company via perceptions of company caring. Results indicate that online complaints could also be seen as opportunities to improve a company’s image, as attitudes toward the company were highest when a transgression occurred and was responded to positively, compared to not having the transgression take place at all (i.e., control condition). Potential extensions to current image repair strategies in the social media environment are discussed. Anderson, M., Perrin, A., & Jiang, J. 2018. 11% of Americans don’t use the internet. Who are they? Pew Research Center. http://www.pewresearch.org/fact-tank/2018/03/05/some-americans-dont-use-the-internet-who-are-they/. Leibovtiz, L. 2011. The consequences of ignoring your customers. A survey of consumer expectations for customer service on social media platforms. Conversocial. http://www.crmidol.com/sites/default/files/Conversocial%20-%20The%20Consequences%20of%20Ignoring%20Your%20Customers_0.pdf. Market Force. 2012, June 14. Market Force study shows companies wield comparable social media influence to friends. http://www.marketforce.com/press-releases/item/research-social-media-influence/. Accessed 10 July 2017. Smith, A., and M. Anderson. 2018. Social media use in 2018. Pew Research Center. Retrieved from: http://www.pewinternet.org/2018/03/01/social-media-use-in-2018/.